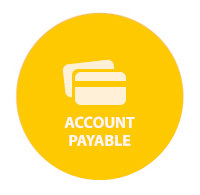 AP (Account Payable), is one of a main feature in our software, EASYFO, Back Office that interface and working smoothly with Inventory and General Ledger System. A mainly design of this program is to support all different level of user to handling all kind of payment and Tax system. Our program is also very friendly for the user to design many style of Payment Voucher or Cheque Format. A multi propose menu to make your payment much easier, but accuracy.